Student Senate at Pitzer College drafts resolution calling for removal of College President Melvin Oliver for vetoing BDS resolution. The Student Senate of California’s Pitzer College has drafted a resolution calling for the removal of College President Melvin Oliver, after he vetoed the recommendation of the Pitzer College Council to suspend the study abroad partnership with the University of Haifa, JTA reported Sunday. The resolution calls for “enacting no confidence in the President of the College,” and “for his immediate resignation or removal from office,” said the student newspaper the Claremont Independent. At the start of March, the college governing body passed the non-binding recommendation to suspend the study abroad program at Haifa University by a majority of 68 in favor and 25 opposing. Another eight voters abstained. The anti-Israel proposal was backed by radical leftist groups and Democratic congresswoman Rashida Tlaib. Oliver’s veto is the first in Pitzer’s 56-year history. 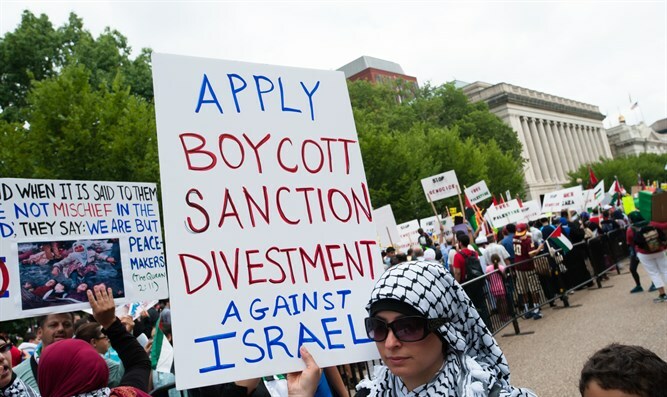 The college board of trustees in June 2017 overturned a Student Senate amendment enacting Boycott, Divestment, and Sanctions (BDS) regulations to Student Senate spending. Over the past several years there have been several attempts in the United States, some of them successful, to impose an academic boycott of Israel. The ASA's boycott decision was controversial even among its members. No universities actually came out in support of the boycott and at least four universities subsequently quit the organization in protest of the boycott. In 2015, the American Anthropological Association (AAA) endorsed an academic boycott of Israel. In 2016, however, the American Historical Association (AHA) rejected a resolution condemning Israel’s alleged “restriction of Palestinians right to education”. There have also been attempts to boycott Israel by individual educational institutions. In early March, the student government at Swarthmore College in Pennsylvania voted to approve a resolution calling on the school to divest from companies that do business with Israel related to Judea and Samaria. In December of 2018, the Student Government Assembly (SGA) at New York University (NYU) voted in favor of a BDS-type resolution calling for the divestment of companies that do business with the IDF.